Just in: C&G Partners is featured in the first SEGD "Annual of Excellence." Considered the "yearbook of the experiential graphic design community," the Annual celebrates the best projects of 2016, drawn from SEGD's Global Design and Excellence Awards. 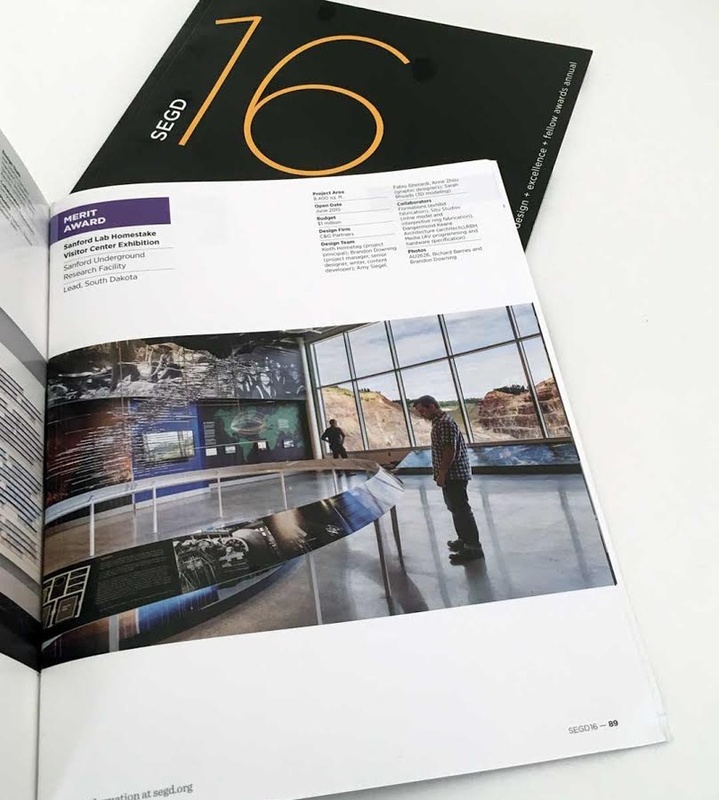 Our award-winning project for the Sanford Lab Homestake Visitor Center is one of those selected that "represents changing paradigms in the design community...and raise the bar for better user experience," as described by SEGD CEO Clive Roux.